Ali Başeğmezler, viola- He was born in Ankara Turkey. He started his music education first in Bilkent University then Hacettepe Ankara Conservatory with Feza Gökmen. After his graduation he went to Leipzig "Hochschule für Musik und Theater – Felix Mendelssohn Bartholdy" to continue studying with Prof. Tatjana Masurenko in 2001. By the time he also played as a tutti viola in "Halle Opernhaus" (2002-2004) and practiced under the guidance of world famous viola players such as Bruno Guiranna, Stefan Kamasa and Nobuko Imai. He finished his graduate (2006) and masters degree (2008) with the title "very good". 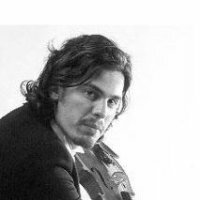 He is the violist of Tetraktys Quartet, which has been nominated by Megaron-The Athens Concert Hall as ECHO Rising Stars for 2011-2012. In this framework the Quartet has performed in most of the European Concert Halls, such Het Concertgebouw Amsterdam, Cité de la Musique Paris (quartet biennale dedicated to Wolfagang Rihm), Luxembourg Philharmonie, Palais des Beaux-Arts Brussels, Elbphilharmonie Hamburg, Kölner Philharmonie, Musikverein Wien, Laeiszhalle Hamburg, Town Hall & Symphony Hall Birmingham, Stockholms Konserthus and L’Auditori Barcelona, receiving praising reviews from the audience and the Press. In August 2011 they have participated in “Klasik Keyifler Festival” in Cappadocia. In 2014 the quartet has also performed in Carnegie Hall. He is also founding member of ERGON Ensemble, which is founded with the assistance of the famous Ensemble Modern.